Any application that is working ferrous materials generates magnetic fines, and the magnetic separator units EdjeTech provides are designed specifically to remove these ferrous particulates from machine fluids. 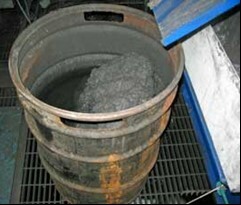 Tube manufacturing, machining, grinding, or parts washing, either create, or wash off metallic fines. Our magnetic separators remove those fines easily, and efficiently allowing secondary filters such as bed filters, bag filters or cartridge filters to remove the non-ferrous (not magnetic) materials, and to last longer between changes. 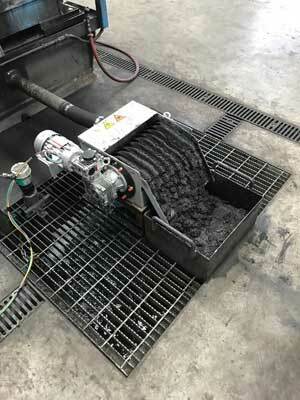 The magnets in the separator attract the ferrous particulate as the contaminated fluid flows through the unit. The magnets continually rotate, attracting ferrous particulates from the fluid stream. They are then cleaned by a scrapper blade. This is a continuous operation, and the magnetic separator does not need to be shut down for cleaning. The ferrous material scrapped off builds up, and slides down a shoot into a container, such as a 55-gallon drum, or a portable chip dumpster. With the capability to remove metallic fines of less than 0.25”, the KAL separator is designed for use in metalworking facilities on equipment that includes turning, grinding and other machining operations. Industry applications include glass, painting, chemical, food, dyeing and water treatment. 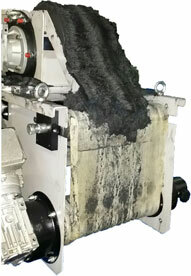 Whenever heavy ferrous particulate needs to be removed, the KAL Separator does so efficiently. Other benefits acquired from the magnetic separation process include a reduction in machine wear and reduction in reservoir pump outs. The KAL Separator also provides a 98% removal efficiency and requires minimal maintenance. Call us today at (800) 242-0525 to discuss your magnetic separation requirements.